"I wanted to send an email of appreciation for the incredible and outstanding service we received while in India. Everyone was amazing, helpful, kind. Always an A & K [Abercrombie & Kent] representative to meet us, transport us, help us with problems with reservations. I have never seen this caliber of service. I was so pleased by the whole organization of A & K, would use them again and would recommend them. 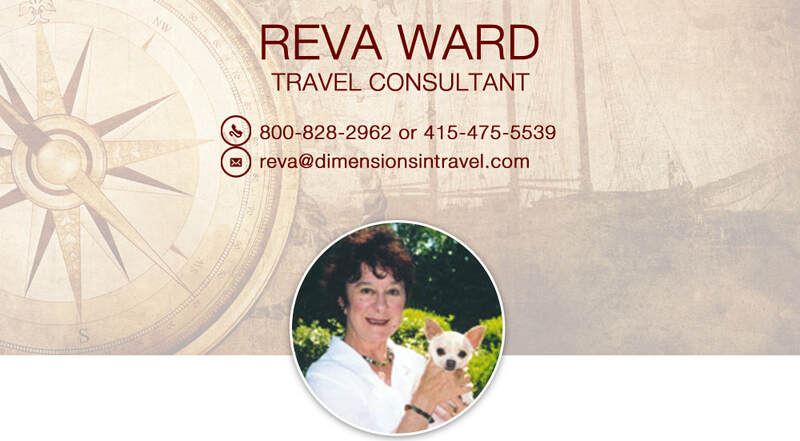 And you, Reva, were so helpful, patient and got our trip on track for us. A trip I will never forget…Thank you for making all of this possible Reva - and for insisting on our safety." Nancy L. & Maureen M.
I was born in Dublin, Ireland. My passion for travel began with my family’s journey to Australia many years ago. I lived and worked in India and Nepal for five years including six wondrous months hiking the Himalaya. While in this part of the world I worked for the Oberoi Hotel group and I raised four Himalayan bears, one lion and one tiger cub.